The term "canine homicide" refers to the death of a person which is caused by a dog. There has been a steady increase in the number of such killings throughout the past several decades in the USA. In the 1980s and 1990s there were about 17 fatalities in the USA per year, but from 2006 through 2013, there have been more than 30, the peak being 42 in 2014. The causes of this increase are the subject of debate. One thing is certain, however: the dog that kills people most often is a pit bull or a pit bull mix. 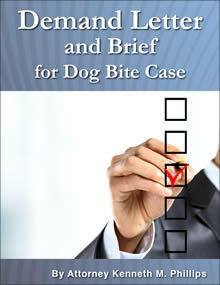 Beginning July 2006, this web site began summarizing, on a monthly basis, the canine homicide cases. The results are reported below. More details about these attacks can be found on the authoritative and comprehensive web site of DogsBite.org, in the section on bite statistics. July 2006: The month of July saw three human deaths, all by pit bulls. Two deaths were in one bite states. On July 27th, 71-year-old Ms. Jimmie May McConnell was in her yard in Kansas City, Kan., when a pit bull jumped over her fence and killed her. Earlier in the month, 3-year-old Mariah Puga of Hargill, Texas, was killed by her parents pit bulls. John Brannaman, 81, died of a heart attack at Orlando, Florida, on July 31st after he was mauled by two pit bulls in front of his home when he tried to retrieve garbage cans from the road. August 2006: The month of August saw two canine homicides, both in Florida, one by a Presa Canario and the other by a boxer.On August 18th, a Presa Canario ripped the jugular vein from the neck of its owner, Shawna Willey, 30, in Tamarac, Florida. She was giving the dog a bath and it bit her a half dozen times. This is the same breed of dog that killed Diane Whipple (see below). On August 30th, a man was killed by a boxer that was confined in a dog pen, in Miami. 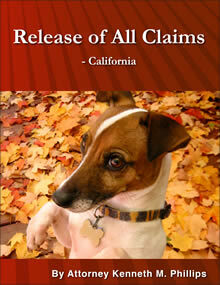 September 2006: In September, no persons were killed by dogs in the USA. The UK saw a terrible coincidence, however, in which a baby was killed by Rottweiler guard dogs and then, within hours, her grandfather was stabbed and left for dead (but survived). October 2006: There were three canine homicides in October, one by a Rottweiler and two by pit bulls. Two deaths were in one bite states. On October 3, 2006, 2-year-old Julius Graham of Greene County, North Carolina, was killed by a Rottweiler. On October 8, 2006, 44-year-old Jeannine Fusco was killed in Ramapo, NY, by a pit bull that she was taking care of for a friend. On October 28, 2006, 40-year-old Tim McCurry of Montgomery County, TX, was killed by a pit bull that he was considering buying for home protection. November 2006: November broke the monthly record for canine homicides: there were 7. Three were in one bite states. On November 3, two-year-old Ariel Pogue of Tallapoosa County, Alabama, was mauled to death outside her home by one of her parents' three Rottweilers, in the presence of her mother. Also on November 3, 10-year-old Matthew Davis of Dillon, South Carolina was killed by six dogs that attacked him outside a rural home. On November 4, one-year-old Allen L. Young died after he was mauled at home by his dad's four pit bulls, which took the boy from his bed at night. On November 6, two-year-old Luis Fernando Romero Jr. was killed after being mauled by two Rottweilers at his home near Tucson, Arizona. On November 8, a pit bull was found eating the body of Richard Adams, in Phenix City, Alabama, after it killed him. On November 13, two Rottweilers killed 40-year-old James L. Eisaman of Summit County, Ohio. On November 21, two dogs killed 4-year-old Pedro Rios in east Harris County, Texas, as he was playing outside his house. December 2006: There were no canine homicides in the USA in December 2006. In 2007, the USA had 33 fatal dog attacks on people. January 2007: There were 4 canine homicides in the USA in January 2007. All were in one bite states. In San Antonio, TX, 10-year-old Amber Jones was fatally attacked by a neighbor's pit bull on January 12, 2007. She previously had played with the dog. In St. Louis, MO (Missouri), on January 15, 2007, Linda Mittino, 69, was killed by her son's dog, a 7-year-old German shepherd. The same dog had attacked her the previous November, requiring her to submit to three hours of plastic surgery. She resisted having the dog punished for the earlier attack upon her. This time, it killed her. In Richmond, VA, 6-year-old Matthew Logan Johnson was mauled to death on January 24, 2007, by two of seven Rottweilers owned by his parents. The dogs that killed the boy were newly adopted only days before. In Brewton, Alabama, on January 29, 2007, 18-month-old Taylor Kitlica was killed on her front lawn by a Rottweiler that her parents had found and chained there, hoping that its owner would retrieve it. February 2007: There was one canine homicide in the USA in February 2007. It happened in Georgia, a state that has repudiated the one bite rule under only the most narrow circumstances. In Atlanta, Georgia, 2-year-old Robynn Bradley was mauled to death on February 16, 2007 by a pit bull mix and mastiff mix that had escaped from their pen. March 2007: Two people were killed by dogs in the USA in March 2007, and both were in Texas, a one bite state. On March 16, a 50-year-old woman from Friendswood, Texas, was found dead in her backyard, the victim of her own dog or dogs, of which there were three. On March 23, a two-year-old Dallas-area girl was fatally mauled by her parents' dog at their mobile home. April 2007: There was one canine homicide in the USA in April 2007. In Charleston, South Carolina, 2-year-old Brian Palmer was mauled to death by the family pit bull. The boy had been left alone in the house with the dog and the boy's brothers, the oldest of whom was 16. May 2007: In May 2007, five Americans died as a result of being attacked by dogs. Four of the deaths were in one bite states. On May 13th, Celestino Rangel, a 90-year-old man in San Antonio, Texas, was killed by two pit bulls that had broken into his home and attacked him. On May 25th, in El Paso, Texas, 96-year-old Magdalena Silva was mauled to death by a Doberman Pinscher and a German Shepherd as she was feeding the dogs. On May 26th, a 3-year-old boy was mauled by dogs at Hunter Army Airfield, Georgia, and died on May 29th. Also on May 26, 71-year-old Carshena Benjamin of Collier County, Florida, was killed by put bulls. The death was not initially attributed to dogs, however, because the criminal investigation was quietly terminated later in the year. Florida is a statutory strict liability state. June 2007: In June 2007, two Americans died as a result of being attacked by a dog. On June 17, 2007, a 1-year-old Chow killed its owner, Phyllis G. Carroll, 63, in Connersville, Indiana. On June 29, 2007, Mary Diana Bernal, 62, of Dallas, Texas, was killed by a pit bull owned by her brother in law, Eliasar Macias. "My dog never had any problems. He was a real friendly dog until now," Macias said. This killing happened in Daytona Beach, Florida, and the dog was in very poor health. July 2007: In July 2007, three Americans died as a result of being attacked by a dog. A Rottweiler, chained in its owner's unfenced front yard, killed 5-year-old Tiffany Pauley of Carroll County, GA (45 miles from Atlanta). This accident illustrates the danger of chaining, which substantially increases a dog's aggression toward humans. For more about chaining, see Why Dogs Bite People. On July 23, 2007, 11-month-old Trey Paeth of Florence, Ala., was killed in Putnam County, Tenn., by two Siberian huskies. The boy was in a screened playpen, and the dogs bit and clawed their way through it to maul him to death. His parents were in another room and did not hear anything. The dogs later were destroyed. On July 29, 2007, a 6-month-old pit bull in Bath, New York, killed 6-year-old Sabin Jones-Abbott of Steuben County, New York. The boy had been feeding the dog minutes before the attack. August 2007: Three Americans died in August as a result of being attacked by a dog. On August 16, 2007, 7-year-old Zachary King Jr. of Minneapolis, MN, was killed by his family's pit bull, which was kept chained in the basement. The dog had bitten others in the past. Another chaining death occurred in McMinn County, Tennessee. On August 18, 2007, 15-month-old Elijah Rackley was killed by a chained family dog. The female Chow-mix just had puppies. See Why Dogs Bite People for more information about the dangerous practice of chaining a dog. On August 31, 2007, 6-year-old Scott Warren of Dallas was killed by his family's pet pit bull. September 2007: Four Americans were killed by dogs in September 2007, with three of the deaths occurring in Illinois. On September 12, 2007, Lylie Cox, a 4-month-old girl living in Warren, Illinois, was mauled to death by a 120-pound Rottweiler. The dog was found as a stray a month before and previously had demonstrated aggression toward children. On September 13, 2007, a pack of bulldogs killed Edward Gierlach, 91, of Iosco Township, Michigan, and Cheryl Harper, 56, of Fowlerville, Michigan. The dogs belonged to Diane Cockrell, and escaped her property through a fence intended for horses. Michigan is a statutory strict liability state. On September 25, 2007, two dogs killed an unnamed 2-year-old boy in Lincolnton, North Carolina, which is a one bite state. October 2007: In October 2007, two Americans were killed by dogs. On October 3, 2007, Tina Marie Canterbury, 42, of Middleburg, Florida, was mauled to death by the two pit bulls which she had raised from the time they were puppies. Florida is a statutory strict liability state. On October 15, 2007, Rosalie Bivins, 65, died after a pack of five to seven dogs attacked her as she used a walker to make her way to the mailbox at the end of her driveway. This happened in Oklahoma, a strict liability state. November 2007: In November 2007, three Americans were killed by dogs. On November 5, 2007, 4- year-old Tori Whitehurst of Phoenix, Arizona, was killed by her parents' American Bulldog at their house. 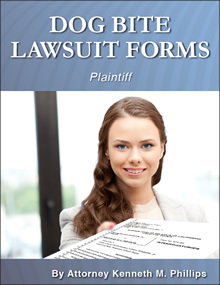 Arizona is a statutory strict liability state. On November 6, 2007, 11-year-old Seth Lovitt was running through his own home when his parents' pit bull jumped off a couch and mauled the child to death. This happened in Killeen, Texas. On November 12, 2007, 21-year-old Jennifer Lowe of Knox County, Tennessee, died after she was mauled by pit bulls at the residence of a friend. The police took 29 minutes to respond to neighbors' repeated 911 calls. Tennessee passed a dog bite statute this year that specifically re-enacted the one bite rule for dog attacks that take place on the premises of the dog's owner. This means that there will be no automatic liability on the part of the owners of these killer dogs. December 2007: In December 2007, three Americans were killed by dogs. On December 13, 2007, Holden Jernigan, 2 years old, was mauled to death in his grandmother's back yard by her male pit bull. She was babysitting him when he went into the yard, alone. This happened in South Carolina, a statutory strict liability state. This is the second canine homicide in that state this year. December 17, 2007, 77-year-old Blanche Broduer was attacked in Clayton, Georgia, by a pit bull in the home that the victim was house-sitting. Georgia is a "mixed" state, meaning that it has a dog bite statute which substantially re-enacted the old English one bite rule. On December 25, 2007, in Yermo, California, 45-year-old Kelly Caldwell was killed by up to five dogs. The dogs were running at large on the street where the victim was walking. The dogs were pit bulls and at least one belonged to a neighbor. California is a statutory strict liability state. January 2008: Three Americans were killed by dogs in January 2008. On January 3, 2008, 8-month-old Andrew Stein of Brooklyn, New York, was killed in his home by his parents' Doberman pinscher. New York is a one bite state that has a dog bite statute which makes owners strictly responsible only for medical bills. On January 18, 2008, 6-week-old Justin Mozer of Lexington, Kentucky, was killed by his uncle's Jack Russell Terrier. The uncle's pit bull and the Jack Russell Terrier were put down following this attack. Fatal attacks by Jack Russells are rare. Kentucky is a statutory strict liability state. On January 20, 2008, 24-year-old Kelli Chapman of Longville, Louisiana, was killed by her two pit bulls. Her husband found her on the floor of their bedroom, where she died of bite trauma and blood loss. Louisiana has a dog bite statute that talks of strict liability but requires proof of dog owner negligence. February 2008: No Americans were killed by dogs in February 2008. March 2008: No Americans were killed by dogs in March 2008. April 2008: One American was killed by a dog in April 2008. On April 28, 2008, Abraham Jonathan Tackett, 23 months old, wandered into a neighbor's "dog lot" when his father left him alone. A Husky on a chain killed the child in short order. The accident happened in Fort Yukon, Alaska, a one bite state. May 2008: Two Americans were killed by dogs in May 2008. On May 14, 2008, Julian Slack, 3, a resident of Marine Corps Base Camp Lejeune, North Carolina, was killed by a dog. This death was not reported in the press, but an article about it was published in jdnews.com and other reports of it appeared on DogsBite.com. North Carolina is a one bite state. On May 18, 2008, Tanner Joshua Monk of Breckenridge, Stephens County, Texas, was mauled by two pit bulls, resulting in his death. Texas is a one bite state. June 2008: Two Americans were killed by dogs in June 2008. Pablo Hernandez (aka Pablo Lopez), 5, of Hidalgo County, Texas, was mauled to death by a pit bull on June 18, 2008. Texas is a one bite state. Loraine May, 74, of Brevard County, Florida, was killed by her own two dogs on June 26, 2008. Florida is a statutory strict liability state. July 2008: Three Americans were killed by dogs in July 2008. On July 22, 2008, Tony Evans Jr., a 3-year-old boy from Jackson, Mississippi, was playing with friends across the street from his home. The house had a carport where a pit bull was chained. The dog dragged the boy into its doghouse and killed him. Mississippi follows the ancient and outdated "one bite rule." On July 25, 2008, Addison Sonney, a one-year-old girl from Erie, Pennsylvania, was killed by her family's English Sheepdog mix. The toddler was with her parents at a cemetery, where her father worked. The reason for the attack is unknown. Pennsylvania is a statutory strict liability state but the laws are complex, confusing and should be revised. On July 28, 2008, Zane Alen Earles, a 2-month-old boy, was killed by his parents' dog while the child was sitting in a swing, located inside their house. This happened in Tulsa, Oklahoma, which is a strict liability state. August 2008: Three Americans died from dog attacks in August 2008, and a fourth was attacked this month and died in September (see September 2008, below). Six-year-old Isis Krieger of Anchorage, Alaska, was mauled by her parents' pit bull on August 12, 2008, and perished on August 18, 2008. Alaska is a one bite state. Henry Piotrowski, 90 years old, of Staten Island, New York, was mauled by two pit bulls on July 1, 2008, and died on August 17, 2008. One of his legs had to be amputated, and he had been in the hospital since the attack. New York's dog bite statute provides strict liability only for medical bills. For compensation other than medical bills, New York is a one bite state. September 2008: Five Americans died from dog attacks in September 2008. Three were babies who were killed by their parents' dogs. One attack was in August 2008 and the victim died in September 2008. On September 4, 2008, Luna McDaniel, 83, of Ville Platte, Louisiana, died as a result of being mauled by 3 pit bulls on August 24, 2008. The old woman was collecting cans in her neighborhood for recycling. Louisiana is a statutory strict liability state, provided that the owner could have prevented the injuries. On September 6, 2008, Alexis Hennessy, a 6-day-old New Jersey girl, was attacked and killed in her crib. Her parents owned a 3-year-old Husky. They had left her and the dog alone for only a few minutes. New Jersey is a statutory strict liability state. On September 12, 2008, Cenedi Kia Carey, a 4-month-old girl, was fatally mauled by her family's two pit bulls in their North Las Vegas home. The child was in a stroller and being watched by her grandmother. The dogs were in the back yard. They got through a screen dog to attack the girl and then, when the grandmother pulled the injured baby away, the dogs attacked again and finished the child off. Nevada is a one bite state. On September 22, 2008, an unnamed 3-day-old girl in Warren, Ohio, was killed in her home by her parents' Husky. The girl was laying in her bassinet. Ohio is a statutory strict liability state. September 23, 2008. The dog was in a neighbor's back yard. California is a statutory strict liability state. October 2008: Two Americans died from dog attacks in October 2008. Two-month-old Iokepa Liptak, a resident of Honolulu, Hawaii, was killed by his parents' dog on October 5, 2008. Hawaii has a dog bite statute that has been interpreted as essentially re-enacting the one bite rule. On October 31, 2008, 62-year-old Chester R. Jordan of Muncie, Indiana, was killed by three of his own pitbulls, inside his residence. 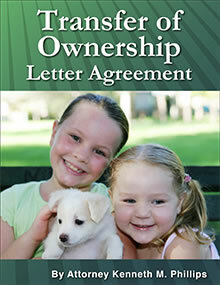 Indiana imposes strict liability on not only the owner, but also the possessor, keeper or harborer of the dog, but they are strictly liable only if the victim is a mail deliverer or other official. November 2008: One American was killed by a dog in November 2008. On November 26, 2008, an unnamed 2-year-old boy was killed by two dogs at his home in Las Vegas. Police described the dogs as "mixed breed" and "possibly" pit bulls. Nevada is a one bite state. December 2008: One American was killed by a dog in December 2008. On December 19, 2008, Gerald Adelmund, a 60-year-old resident of Rubidoux, California, was attacked and killed by two pit bulls. The dogs lived with him and his son, daughter-in-law and their three children. One dog was a pure pit bull, while the other was a pit bull mixed with mastiff. He was in his own back yard. California is a strict liability state. January 2009: Five Americans were killed by dogs in January 2009. On January 6, 2008, a five year old girl in Thomasville, Georgia, was mauled to death by her parent's pit bulls while she was playing in her own back yard. Chyenne Peppers was playing in the yard of her home when the family's three pit bulls attacked her. Her parents were home at the time, but were inside their house. Three of the factors on the Dog Attack Danger Scale were present, so the attack was predictable and avoidable. Georgia has a dog bite statute that incorporates much of the one bite rule. Four-year-old Alex Angulo of Chicago, Illinois, was mauled to death by a Rottweiler on January 11, 2009. The dog belonged to his foster parents. The child was killed in his own back yard. There were three dogs present, two of them being Rottweilers. No adults were present. Three of the factors on the Dog Attack Danger Scale were present, so the attack was predictable and avoidable. Illinois is a statutory strict liability state. On January 15, 2009, Brooklynn Grace Milburn, a 3-year-old girl from Fort Worth, Texas, was killed by a neighbor's Rottweiler dog. She was playing in her back yard when she crawled through a hole in the fence. Her parents believed that the hole was too small for her to get through. Two of the factors on the Dog Attack Danger Scale were present, so the attack was predictable and avoidable. Texas is a one bite state. On January 19, 2009, an 8-year-old girl Pennslyvania, Brianna Nicole Shanor, was mauled to death inside her uncle's camper, where he kept a chained-up Rottweiler-mix. Two factors on the Dog Attack Danger Scale were present, so the attack was foreseeable. Pennsylvania is a strict liability state. Also on January 19, 2009, Olivia Rozek, a 3-week-old child, died after being mauled in the north-central Illinois community of Bourbonnais. The family dog, a Siberian Husky, had pulled the infant off of a bed in the master bedroom and dragged the child into a hallway. The child suffered multiple bite injuries to the head. Illinois is a strict liability state. February 2009: There were no American canine homicides in February 2009. March 2009: Six people were killed by dogs in the USA in March 2009 (five violent maulings, and one from infection after being bitten). A two-week-old baby was killed by a dog on March 4, 2009, in Mesa, Arizona. The name of the baby was never made public; she is referred to as "Jane Doe" and her mother's name was Myrna Ramirez. The mother had placed the infant in a low-lying bassinet or crib, with a Chow-Chow in the house. Arizona is a statutory strict liability state. On March 16, 2009, Hill A. Williams Jr., a 38-year-old California man, was mauled to death by his two bull mastiffs, in his own back yard. California is a statutory strict liability state. On March 22, 2009, Dustin E. Faulkner, a 3-year-old boy from Georgia, was killed by a wolf-hybrid. Details are sketchy at this time. Georgia has a dog bite statute that incorporates much of the one bite rule. Dolly Newell, an 80-year-old California woman, died on March 24, 2009, several days after she was bitten in the hand by a dog while feeding it. For some reason, she told the hospital staff she injured her finger while gardening. They stitched the bite closed and she went home, to die of infection. This death will not appear in most lists of canine inflicted fatalities, but it should because it was initiated by the dog bite and it is well known that the bacteria in a dog's saliva can cause death. On March 31, 2009, two pit bulls killed Izaiah G. Cox in San Antonio, Texas, as the child was laying on a bed. The dogs broke through or went over a baby gate inside the house. When the baby's grandmother tried to rescue him, the pit bulls attacked her too, requiring hospitalization.Texas is a one bite state and the USA's leader in fatal dog attacks on people (see Dog Bite Statistics on this site). April 2009: Four Americans have died from dog bite injuries in April 2009. On April 10, 2009, Michael Landry, a 4-year-old boy, was attacked by a neighbor's three boxers. The child was in the back yard of his parents' home in Louisiana. He later died of his injuries. Louisiana is a statutory strict liability state. David B. Whiteneck Jr., 41, of Huron County, Michigan, was killed by a number of dogs belonging to his elderly, absent landlord. The date of death has not been established. Michigan is a statutory strict liability state. On March 28, 2009, 48-year-old Gordon Lykins of Winterhaven, California was attacked by dogs near a drainage canal road a few miles north of Yuma, Arizona. He died on April 10, 2009, from those injuries. Arizona is a statutory strict liability state. On April 23, 2009, a family pit bull killed 11-month-old Leonard Lovejoy Jr. in Detroit, Michigan. The boy was on a bed and the dog gave no warning. Michigan is a statutory strict liability state. May 2009: One American was killed by her own dog. Barbara Chamber, 59-years-old, of Garland, Texas, was attacked by her Great Dane in her yard. .
June 2009: Two Americans died from dog bite injuries this month. On June 15, 2009, two pit bulls killed Justin Clinton, 10, a resident of Texas. The dogs and the boy were on public property. Justin is the USA's 16th canine-inflicted human fatality in 2009. Texas is the nation's leader in fatal dog attacks. It is a one bite state. On June 27, 2009, two pit bulls and a collie mix killed Gabrial Mandrell-Sauerhage, 3, of Marion, Illinois. The dogs belonged to his parents, and he was killed in his own back yard. Illinois is a strict liability state. July 2009: One American was killed by dogs. 90-year old Kathleen Jeanette Doyle of Phoenix, Arizona, died July 26, 2009 due to complications suffered after a dog bite. On July 20, a loose American Bulldog bit her leg as she was walking in her neighborhood. 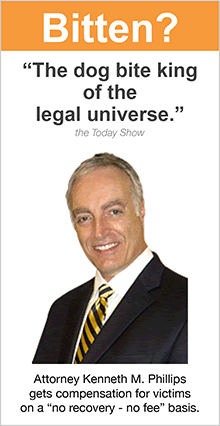 Arizona is a strict liability state. August 2009: Four Americans died from dog bite injuries. On August 10, 2009, 20-year-old Carter Delaney of Louden County, Virginia, was killed by pit bulls which he cared for, and which were owned by his brother. Virginia is a one bite state. On August 14, 2009, 66-year-old Sherry Schweder and her husband, Lothar Schweder, 76-years-old, were killed by an unknown number of dogs near the couple's home outside Atlanta, Georgia. This state has a "mixed" dog bite law, which provides some statutory liability but essentially confirms the one bite rule. On August, 15, 2009, a 3-day-old infant was snatched from his crib and killed by his parents' pit bull. This happened in Hardy County, West Virginia, and no names are available at this time. West Virginia has a "mixed" dog bite law: a strict liability dog bite statute that is limited to dogs running at large, thereby confirming the one bite rule under other circumstances. September 2009: One American died from dog bite injuries. On September 28, 2009, 23-month old Jasmine Deane died after being bitten several times by her family's pit bull, which was chained outside their house. This happened in Orange County, Virginia. It is a one bite state. October 2009: Two American children died from dog bite injuries, both inflicted by pit bulls, and both while under the care of a babysitter. On October 23, 2009, Colton Smith (17 months old) was killed by a pit bull in the yard of the child's babysitter. This happened in Delhi, California, which is a statutory strict liability state. On October 28, 2009, Matther Clayton Hurt (2 years of age) was killed by a pit bull which was chained in a neighbor's yard. The boy had wandered several houses away from his own, as he was being cared for by a babysitter. The incident was in Prescott, Arizona, a statutory strict liability state. November 2009: Three Americans died from dog bite injuries (a fourth victim, attacked on November 27th, died in December and is counted in the statistics for that month). On November 5, 2009, Destiny Marie Knox (16 months) of New Albany, Mississippi, was killed by a pit bull when her babysitter took her to the residence of the babysitter's boyfriend. This was the third killing in a row that featured a pit bull and a babysitter. Mississippi is a one bite state. On November 26, 2009, 53-year old Karen Gillespie of White Mills, Kentucky, was killed by a bulldog mix on her neighbor's property. Kentucky is a strict liability state. On November 30, 2009, 85-year old Rosie Humphries of Flora, Illinois, and her poodle were killed by her neighbor's un-neutered, 3-year-old male pit bull. The woman was walking her dogs on her street when the pit bull escaped its restraints. Illinois is a strict liability state. December 2009: Four Americans died from dog bite injuries -- and two were very young children killed by family dogs in Florida. On December 4, 2009, 70-year-old Lowell Bowden of Lindside, West Virginia, died from injuries that 4 pit bulls inflicted upon him on November 27, 2009. He was taking a walk near his home, and was mauled beyond recongnition. 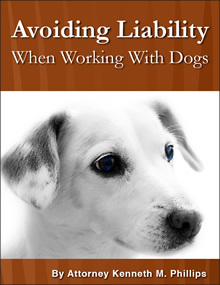 West Virginia has a strict liability dog bite statute that is limited to dogs running at large and therefore should apply to this death. Other than that, the state is a "one bite state." On December 12, 2009, Theresa Ellerman, 49, of Norfolk, Virginia, was killed by an Alaskan malamute at the home of a friend. On December 13, 2009, a 20-month old boy, Dallas Walters, was killed in New Port Richey, Florida, after being mauled by his aunt's pet Rottweiler inside the latter's residence. Florida has a strict liability dog bite statute. On December 22, 2009, a two-year-old boy, Liam Perk, was killed by his parents' dog in his own home, located in Cape Coral, Florida. The dog was an 8-year-old Weimaraner. January 2010: Two Americans were killed by dogs this month. On January 11, 2010, Omar Martinez, 3, was killed by a pit bull in his backyard in Apple Valley, California, a strict liability statute state. On January 17, 2010, Johnny Wilson, 56, a resident of Chicago, Illinois, was killed in his own home by pit bulls being raised by his daughter. Illinois is a strict liability state. February 2010: Seven Americans were killed by dogs this month. On February 7, 2010, 63-year-old Carolyn Baker was killed by her Rottweiler at her home in Cleveland Heights, Ohio, a statutory strict liability state. On February 12, 2010, 6-year-old Anastasia Bingham of Terry, Mississippi, was killed by a dog as she was playing in front of her house. There were 6 dogs at large in the area; the dog that killed the child is believed to be a pit bull. Mississippi is a one bite state. On February 18, 2010, 11-day old Robert D. Hocker of Independence, Minnesota, was killed in his car seat on a bed in the bedroom. The dog was a Siberian husky, belonging to his parents. Minnesota is a strict liability state. On February 20, 2010, 37-year-old Christine Staab was killed by her mother's 6 pit bulls during an argument between the two adults, at their home in Fishtown, Pennsylvania, which is a statutory strict liability state. Also on February 20, 2010, 3-year-old Violet Serenity Haaker (first name withheld), the daughter of Lori Haaker, 47, and Alan Haaker of Ocala, Florida, was mauled to death by one of her parents' 4 American bulldogs. Her parents were breeders of the dog that killed her. Florida is a statutory strict liability state. On February 23, 2010, a 5-day-old baby was killed by a pit bull that attacked the child in her bassinet. This happened in Conyers, Georgia, a "mixed" law state. On February 28, 2010, 4-year-old Ashlynn Anderson, the stepdaughter of Jesse Browning (the star of a reality show about loggers) was attacked and killed by the family's Rottweiler in Astoria, Oregon, in a one bite state. March 2010: two Americans died from dog attacks this month. On March 4, 2010, 65-year old Ethel Horton was killed by her nephew's pit bull as she tried to prevent it from killing her husband. The dog had been chained in their yard. This happened in Lucknow, South Carolina. This is a statutory strict liability state. On March 8, 2010, 8-month-old Justin Josiah Big Soldier-Lopez was mauled to death by two Rottweilers that were given to his parents just days before. This happened on tribal land near Tryon, Oklahoma, which is a statutory strict liability state. 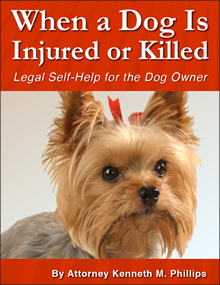 April 2010: one child was killed by a dog this month in the USA. On April 14, 2010, Thomas Carter, Jr., a 7-day-old infant, was killed by the baby's father's pit bull, while the baby's 16-year-old mother was sleeping. This happened inside her residence in New Port Richey, FL, which is a strict liability state. May 2010: two Americans were killed this month. On May 20, 2010, 3-year-old Krystal Brink of Napakiak, Alaska, was killed by one or more chained dogs. The unsupervised girl wandered up to the dogs. Alaska is a one bite state. On May 27, 2010, Nathan Aguirre, a 2-year old, was killed by his parents' pit bull in San Bernardino, California. He had been riding his tricycle and playing with his father. 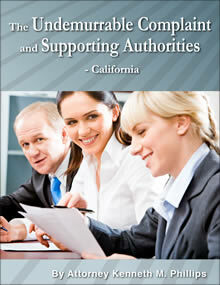 California is a statutory strict liability state. June 2010: two people were killed by dogs this month in the USA. On June 3, 2010, Savannah Gragg, age 9, was severely mauled by the family pit bull as she opened the door of her house to let the dog out. This happened in Kokomo, Indiana, a strict liability state. On June 15, 2010, 30-year old Michael Winters of Lorain County, Ohio, was killed by 5 bullmastiff-mixes, three pit bull-mixes and one rottweiler-mix owned by his father. Ohio is a strict liability state. July 2010. Three Americans were killed by dogs. On July 12, 2010, 5-year-old Kyle Holland of Lincoln Park, Michigan, was killed by his parents' dogs. The boy was sleeping when the white Labrador mix and/or the husky and German shepherd mix mauled him to death. Michigan is a statutory strict liability state. August 2010. There were 6 USA deaths this month. On August 2, 2010, 2-year-old Aaron Carlson of San Diego, California, was mauled to death by his parents' German shepherd mix, in their home. California is a strict liability state. On August 19, 2010, 46-year-old Tracy Payne of Macon County, Georgia, died from multiple blunt-force trauma and dog mauling at her home. Georgia is a mixed law state that requires dog bite victims to prove more than one case or cause of action against a dog owner. On August 22, 2010, two pit bulls belonging to someone who lived on his property killed 69-year-old Jerry Yates of Calaveras County, California, in a workshop at his home. California is a strict liability state. Two children were killed by dogs on August 25, 2010. Jason T. Walter, 7, of Marshall County, Illinois, was mauled to death by three pit bulls and a mixed breed dog. Illinois is a strict liability state. The same day, in Iron Ridge, Wisconsin, 4-year-old Taylor Becker was fatally assaulted by a boxer that was chained to a tree, at a home that the child was visiting. Wisconsin is a strict liability state. September 2010. There was one USA death. On September 4, 2010, Mattie Daugherty, 85-years old, was mauled to death by her daughter's pit bull. This was in Etowah, Tennessee, a mixed law state. October 2010. Two Americans were killed. On October 13, 2010, Reverend John Reynolds, 84-years old, was discovered mauled to death in a pit bull pen that his son used to house 17 pit bulls. This happened in Williamsburg, Missouri. On October 24, 2010, Justin Valentin, 4-days old, was attacked by the family pit bull after his mother left him on the bed to take a shower. This happened in Jacksonville, Florida. November 2010. Four deaths in the USA this month. On November 2, 2010, Christina Casey, 53-years old, was mauled to death by her neighbor's two dogs in the backyard of her home. She was in the process of moving out because of those dogs. This was in Moreno Valley, California. On November 9, 2010, Shirley Bird, 79-years old, was bitten by her 5-year old German shepherd dog and bled to death. This was in Ida Grove, Idaho. On November 10, 2010, Kaden Muckleroy, 2-years old, was mauled to death by his grandfather's pit bull. This happened in Henderson, Texas. On November 15, 2010, Justin Lane, 25-years old, was discovered dead in a home he shared with his mother in Latta, South Carolina. He was killed by his pit bull. December 2010. Two more Americans were killed. After two months of suffering, 67-year-old Edward Mitchell died from being mauled by his nephew's pit bull. This occured in Murrieta, California. On December 19, 2010, Jeannette Vaughn, 3-months old, of Harris County, Texas, was killed by a Rottweiler, one of her parents' 9 dogs. January 2011. Four Americans were killed this month. On January 5, 2011, 51-year-old Linda Castillo of Colusa, California, was mauled to death by her pit bull mix. On January 22, 2011, 9-year-old Kristen Lee Dutton was killed by her grandfather's dog, a Japanese akita which he owned for only 3 weeks. This happened in South Carolina, a strict liability state. On January 26, 2011, 51-year-old Ronnie Waldo was killed by three pit bulls owned by his neighbor in Pontotoc County, Mississippi. Waldo had gone next door to borrow a tool. February 2011. Two Americans were killed by dogs. On February 18, 2011, 66-year-old Sirlinda Hayes of Columbia, South Carolina, was killed by Rottweilers as she worked in her garden. The dogs had been at large, and also attacked their owner before police shot them dead. Click here for the story. On February 19, 2011, a 10-day-old boy died after being mauled by family pit bull in Kalamazoo, Michigan. His name has not been released as of this writing. March 2011. There were two canine homicides this month. On March 5, 2011, 3-year-old Vanessa Husmann was killed by her grandfather's rottweilers in her own backyard. This happened in Hopkinton, Iowa. On March 6, 2011, Jennie Erquiaga, 47, was killed by her own pit bull in her backyard, in San Bernardino, California. April 2011. Three more Americans were killed by dogs this month. On April 13, 2011, 7-month-old Annabelle Mitchell of Frankfort, Maine, was killed by her parents' Rottweiler in their home. On April 22, 2011, 50-year-old Virgil A. Cantrell of Ardmore, Oklahoma, was killed by a friend's chained pit bull. 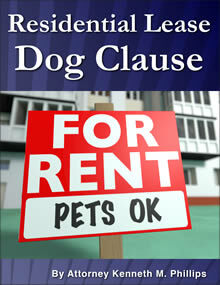 Criminal charges were filed against the dog's owners in May 2011. On April 25, 2011, 48-year-old Margaret Salcedo of Truth or Consequences, New Mexico, was killed by 4 pit bulls that were at large. May 2011. This month saw only one death in the USA. On May 28, 2011, 4-year-old Jayelin Graham of Brooklyn, New York, was killed by his parents' pit bull / cane corso mix inside their home. The dog ripped off this throat as his mother screamed, "Help! He ate my baby!" June 2011. There were two killings of Americans this month. On June 10, 2011, 74-year-old Roy McSweeney of Hawthorn, Florida, was severely mauled by neighbor's pit bulls, which jumped the fence to attack him. He died on June 15, 2011. On June 30, 2011, an unidentified baby was killed by "a relative's dog" in Chesterfield County, Virginia. On July 5, 2011, 11-month-old Michael Naglee of Nehalen, Oregon, was killed by a pit bull owned by his parents or grandparents. August 2011. This month 5 Americans were killed by dogs. On August 11, 2001, 32-year-old Darla Napora and her unborn child were killed by a pit bull owned by her and her husband. Her husband stated after the incident that he did not blame his dog and planned to bury his wife and unborn child with the ashes of the dog that killed them. The victim herself was an avid supporter of Bad Rap (Bay Area Doglovers Responsible About Pit Bulls), and organization that took control of nearly a dozen of pit bulls owned by Michael Vick, the disgraced footballer convicted of animal cruelty in relation to his involvement in a dog fighting ring. On August 23, 2011, 61-year-old Michael Cook of Tucson, Arizona succumbed to catastrophic injuries he sustained, resulting in a double-arm amputation, when attacked by his own pit bull on August 3, 2011. On August 30, 2011, 9-day-old Addyson Camerino of Clarkton, North Carolina, was killed by her family's dogs. Police removed five dogs from the premises, including a pit bull, a bulldog, a German Shepherd and a Malamute, and that at least three of the dogs were involved in the attack. The baby's mother and grandfather were subsequently arrested and charged with involuntary manslaughter. On August 30, 2001, 50-year-old Carmen Ramos died after being savagely attacked in her living room by five pit bulls owned by her and her husband, Jose Alvarez. The dogs had attacked and bitten two neighbors a week before Ramos was killed . The PSPCA removed the dogs at that time but returned to the couple. In the previous year, the PSPCA had been called to the home where they found 10 pit bulls in the basement, some dead. September 2011. Two Americans were killed by dogs this month. On September 16, 2011, 71-year-old Donna Harman Conrad of Valley View, Texas, was killed in her backyard by her own dog, a doberman pinscher. On September 3, 2011, 13-day-old Brayden McCollen was in a baby carrier on the floor of a room while his mother was watching him from outside through a window. The family pit bull got into the room, began sniffing the newborn then mauled him to death. Additional news reports for 2011 are not posted. There were a total of 31 deaths in 2011 as a result of dog maulings. On June 18, 2012, Emako Mendoza, 75-years-old, was brutally mauled by a neighbor's pit bull outside the Mendozas' home in San Diego, California. She suffered a heart attack and her left arm, left leg and right leg were amputated because they were shredded in the attack. She died on December 24, 2012. On June 27, 2012, 50-year-old Kevin Latz of Reno, Nevada, was killed in a friend's home by the friend's pit bull. The USA death count from dogs in 2012 was 38. On January 8, 2013, Betty Todd, 65, was killed in Hodges, South Carolina, by 4 pit bulls belonging to her son, as she was babysitting for his children. On February 16, 2013, Isaiah Aguilar, 2 years old, was killed by a neighbor's pit bull which was chained in its yard. This happened in Sabinal, Texas. On March 2, 2013, in Galesburg, Illinois, Ryan Maxwell, a 7-year old boy was mauled to death by a pit bull at a relative's house. His mother said, "Half of his face was gone. And all of his throat. They had a wash cloth over half his face and his throat covered up. This thing did that to him. This thing just took our heart. It just took our soul." On March 29, 2013, 21-month-old Monica Laminack was killed by her family's 7 pit bulls in Ellabelle, Georgia. On May 12, 2013, Carlton Freeman, 80, of Harleyville, South Carolina, died from a dog mauling that happened on May 8th. This man was a double amputee who was attacked in his wheelchair. The breeds of the dogs have not been revealed. On July 1, 2013, 63-year-old Linda Oliver of Dayton, Texas, was killed by a rottweiler-mastiff mix that she began caring for two weeks earlier. On November 1, 2013, 56-year old Terry Douglass was mauled to death by her pet pit bull in Baltimore. Prior to this, the dog had attacked Douglass twice before. On November 4, 2013, Katherine Atkins, a 25-year old woman, was mauled to death by her "boyfriend's" two pit bulls in Kernersville, North Carolina. On November 5, 2013, 65-year old Nga Woodhead died of a heart attack brought on by a severe attack one week earlier by two loose pit bulls. On November 8, 2013, Levi Watson, 4, of Bradford, Arizona, was killed by 3 pit bulls at the home of a family relative. On November 21, 2013, 75-year-old Joan Kappen of Hot Springs Village, Arkansas, was killed by a bullmastiff that was at large, as the victim was taking a walk. On December 7, 2013, Jah'niyah White, 2, of Chicago, Illinois, was killed by her grandfather's two pit bulls. On December 10, 2013, Mia Gibson, 3 months of age, a resident of Columbas, Ohio, was killed by her parents' two shiba inu dogs. On December 13, 2013, Michal Nelson, 41, of Jarales, New Mexico, was mauled to death by her own pit bull. On December 29, 2013, Thomas Vick, 64, of Bullhead City, Arizona, was killed by his own 6 dogs of various breeds. On January 5, 2014, 43-year old Christina Burleson (Bell), of Houston, Texas, was killed by at least two loose pit bulls owned by a neighborhood resident early in the morning. The dogs also attacked two men that tried to help her. On January 6, 2014, 75-year-old Betty Clark of Canyon Lake, Texas, died of injuries inflicted on December 21, 2013 by two pit bulls at large in her neighborhood. On January 17, 2014, 4-year old Kara Hartrich of Bloomington, Illinois, was mauled to death by at least two of her family's three pit bulls. At the time of the attack, Kara and her 2-year old sister were being babysat by their grandmother. On January 26, 2014, 89-year old Annabell Martin of Corona, California, was found dead in her garage after being fatally attacked by her grandson's three rottweilers. The pet owner told police the dogs had "no history of aggressive behavior." On February 7, 2014, 57-year old Klonda Richey of Dayton, Ohio was brutally killed and stripped naked by her neighbors two mastiffs. Previously, Richey had made 13 complaints to animal control and at least 16 calls to 911 reporting issues with her neighbor and his dogs. On February 17, 2014, 2-year old Je'vaeh Mayes of Temple, Texas was killed by a chained pit bull her family was watching for a friend. On February 24, 2014, 3-year old Braelynn Coulter of High Point, North Carolina was killed by one of her family's two pit bulls. A few months earlier, both dogs had broken through a fence to attack a neighborhood dog. On February 26, 2014, 4-year old Summer Sears of Tallassee, Alabama was killed by one or more loose Shepherd-mixes owned by her neighbor while playing in her own yard. Police officials said it looked like a "wild bear" attack. On February 28, 2014, 13-year old Kenneth Santillan of Paterson, New Jersey was fatally attacked by a bullmastiff that escaped its owner's yard. His body was found 7-hours later half-submerged in a nearby creek. On March 1, 2014, 2-year old Raymane Robinson Jr., of Killeen, Texas was killed by a bullmastiff after it charged out of its owner's garage and attacked. The dog dragged the toddler down the neighborhood sidewalk. On March 14, 2014, Nancy Newberry, 77, was killed by her daughter's pit bull inside their home in Phoenix, Arizona. Her husband said the dog had "always been a little aggressive" and had "nipped" a couple of his daughter's friends. On March 26, 2014, Mia Derouen, 4, of Houma, Louisiana, died after a savage attack by one of her parents' two pit bulls. On March 31, 2014, 3-year-old Christopher Malone of Thorton, Mississippi, was killed by his parents' two pit bulls in the family's back yard. Also on March 31, 2014, 85-year-old Dorothy Hamilton of Kaufman, Texas, was killed by her son's 8 pit bulls in the living room of her home. On April 6, 2014, five-year-old John Harvard of Riverside, Alabama, was killed by an at large pit bull that belong to a neighbor. The town did not have a leash law. On April 11, 2014, 83-year-old Petra Aguirre of San Antonio was killed by her neighbor's 35 pound pitbull while in her own backyard. The animal had crawled under the fence. On April 13, 2014, 93-year-old Rita Pepe of Branford, Connecticut, was attacked by a neighbor's pit bull, a rescue dog. The victim died on May 25, 2014. On May 4, 2014, Katie Morrison, 20 years old, a resident of Smiths Station, Alabama, died from her injuries inflicted by three of the pit bulls owned by a friend, at his house. On May 5, 2014, one-year-old Nyhiem Wilfong of Caldwell County, North Carolina, was killed in the backyard of his grandfather's house by a Rottweiler the grandfather had acquired three weeks earlier. On May 10, 2014, 4-year-old Kasii Haith was killed by 3 pit bulls he was playing with, in his grandparents' yard. His pregnant mother and two men fought off the animals but the child was fatally mauled by time the attack ended. On June 9, 2014, a Catahoula leopard dog belonging to the parents of 10-week-old Holden Garrison of Davisburg, Michigan, killed the baby in front of his mother and uncle, who were sitting on the living room couch. On July 20, 2014, Jonathon Quarles Jr., 7-months old, was killed by his step-grandmother's pit bull while she was baby sitting the child, in Dayton, Ohio. On July 20, 2014, two pit bulls owned by 4-year old Logan Sheppard's uncle and aunt killed the child at their home in Riverview, Florida, where he was visiting with his mother. To read about dog bite cases that resulted in criminal charges, see Criminal Penalties for a Dog Bite. 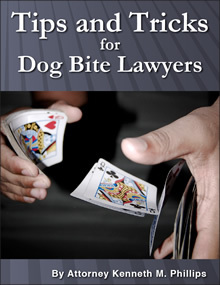 For Attorney Kenneth Phillips' editorial opinions about current fatal dog attacks and other issues pertaining to dog bite law, see The Dog Bite Law Blog.